Buying Our Child's Safety. Or....Not. - Dads Change Diapers, Too! For the past couple of weeks, MOMPC and I have been talking that it was time to finally stop hauling NPP’s tiny hind-end around in his infant car seat everywhere we went. Lugging 30 pounds of baby and seat up and down stairs gets to be quite tiring after you do it just once, and he was finally starting to get big enough to fit in a more permanent seat. MOMPC and I split daycare duty, so we were leaving the seat behind (thankfully) and only had to buy one. If we ever wanted to get away from constantly carrying it, we were going to have to breakdown and buy another seat. With NPP being semi-close to the weight where he can no longer safely be in an infant car seat, we decided to start researching convertible car seats. Did you know there are about a million different makes and models of infant car seats out there? We didn’t, but we do now. We hemmed and hawed and finally made the decision to purchase the Graco Contender for the low, low price of $129. We even had a 15% off coupon, and $20 in Rewards R Us cash, so the price came in right around $100. That’s right. 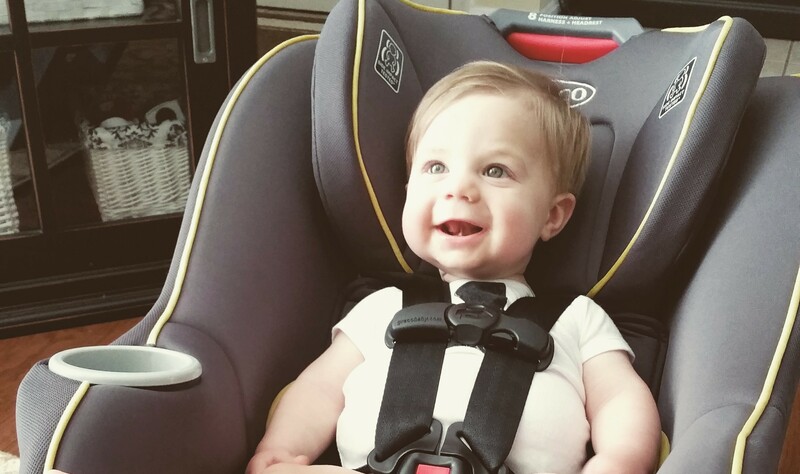 We sit our happy little child in a $100 car seat when we’re on the mean streets of Maryland. And you know what else? We’re not losing any sleep over it, either. I’ll be honest with you. We’ve spent money on some real dumb things, that definitely didn’t need to be bought because they were pure luxury, but we have to buy two of these bad boys, and I’ll be damned if I’m spending over $700 on something that is essentially just a fancier version of the $130 model. The long and short of it is this; The NHTSA has a set of guidelines for this stuff. Every company has a laundry list of certifications and safety specifications and does rigorous testing on these things. Babies R Us isn’t going to sell you a product that a company knows is unsafe, because the people that work at that company need to eat. You know what you’re paying for when you buy that expensive car seat? Higher thread counts and extra cup holders and, if you need it, help so you can sleep at night. Here’s more fuel for the fire. Consumer Reports rates the highest reviewed Convertible Car Seat, the Britax Marathon , at a 75 out of 100. That seat is $299. Eight points lower than that is the highest rated Graco convertible car seat, the Contender . If 8 points are worth $170 to you, then by all means, please spend $600 on car seats but, for us, we’ll gladly save the money knowing that our car seat holds dropped cheerios, sleepy heads, spat-out pacifiers, and our son, just as safely as the rest on the market. Everybody is going to have their preference when it comes to this stuff, but please allow me to be the voice in the back of your head that says, “Hey…maybe we don’t need to spend $300 on a car seat, when there’s a perfectly safe, viable $130 option over here”. We’re facing the same situation, although we’re approaching the height limit faster than the weight. Our new daycare doesn’t have enough space to leave the infant seat behind, so we picked up a low-end convertible for days that the same person doesn’t do dropoff and pickup. We picked the Evenflo Tribute (http://www.target.com/p/evenflo-tribute-lx-convertible-car-seat/-/A-13979713#prodSlot=medium_1_3), mostly because it’s relatively light and narrow so it’ll be convenient to take on a plane The infant seat still rides in the family-trip hatchback because it’s nice to be able to carry her inside when she’s asleep, but when she outgrows that we’ll go for something in the next tier up for maximum comfort on long drives. Next story Where did the time go? !